Kenworth: Funfest for Central Oregon Truck Company: Behind the Scenes Delivering the U.S. Capitol Christmas Tree in a Kenworth W990 - Daseke Inc.
WASHINGTON, D.C., November 29, 2018 – When Rick Williams was approached by Kenworth and the Papé Group to transport “The People’s Tree” from Oregon to Washington, D.C., in a new Kenworth W990, he had to give the project some thought. 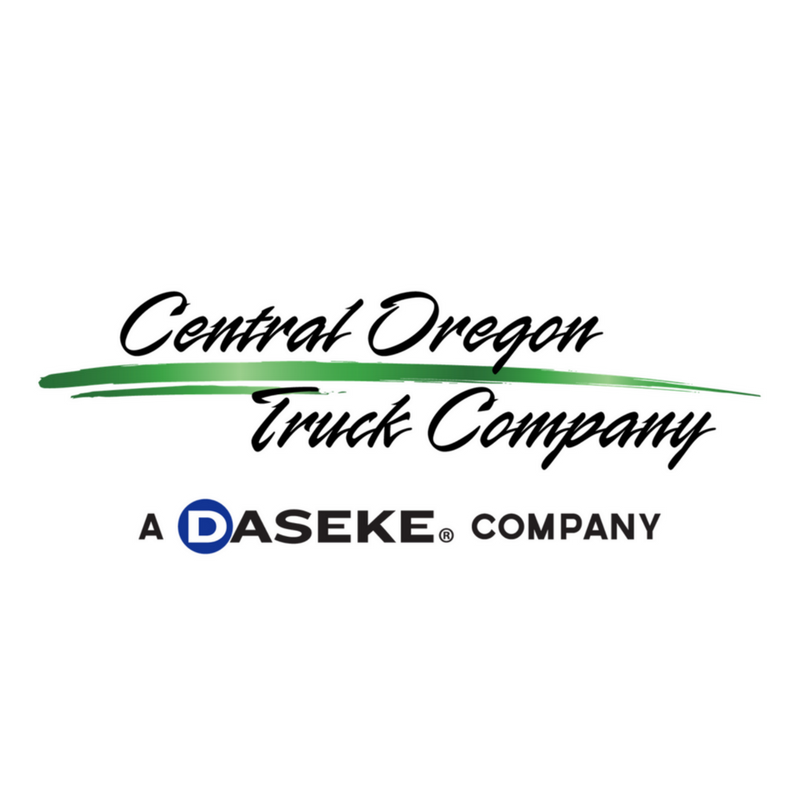 As CEO of Central Oregon Truck Company (COTC), he knew there would be a lot of paperwork, planning and logistics involved. “It was complex,” he said. From left are Central Oregon Truck Company’s Rick Aimone, director of driver safety and services; Phil Taylor, vice president of maintenance; and CEO Rick Williams. “But that complexity has been completely overshadowed by the honor of delivering the 2018 U.S. Capitol Christmas Tree. This has been a true highlight in my life, and for other drivers at our company. The joy we’ve seen on all the faces as the tour progressed – the celebrations and parades, and the bands, orchestras and carolers who performed when we arrived. It was a caravan of fun as we made stops along the Oregon Trail in reverse. I was able to be behind the wheel for several legs through Oregon. This is a memory I’ll never forget,” Williams said. According to Williams, the best part of the project has been how the tree transport has become a company-wide source of pride. From left are Central Oregon Truck Company’s Phil Taylor, vice president of maintenance (in driver’s seat); Brad Aimone, director of driver safety & services; and CEO Rick Williams. For Phil Taylor, COTC’s vice president of maintenance, being involved in the move has been special. When the Kenworth W990 and the U.S. Capitol Christmas Tree were close to Pocatello, Idaho, Taylor and Aimone pulled over to meet up with Danny Leon-Guerrero, an Elite driver who has been with Central Oregon Truck Company for 4-1/2 years. “I was routed so I could meet up with the caravan and have a turn at driving the Kenworth W990,” said Leon-Guerrero. “Brad took my load and followed us as I got to drive ‘The People’s Tree’. Driving that truck with the long hood brought back a lot of great memories. When I was an owner operator, I drove a long hood. When we got to Pocatello, I met the mayor. We were even on Facebook Live. It seemed like the whole town came out to see us. 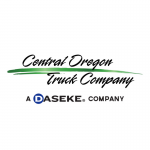 Central Oregon Truck Company Elite Driver Danny Leon-Guerrero was one of the company’s drivers who drove the Kenworth W990 transporting the U.S. Capitol Christmas Tree. One of the highlights for Taylor and Aimone was participating in the Thanksgiving Day Parade in St. Louis. “The whole U.S. Capitol Christmas Tree tour has been incredible, and the parade was a major highlight for us,” said Aimone. The special W990 with the U.S. Capitol Christmas Tree appeared in the Thanksgiving Day parade in St. Louis. “Thousands lined the streets and we all celebrated Thanksgiving together. It was special that we could share the transport of ‘The People’s Tree’ in a Kenworth W990 with so many,” added Michael Gillespie, a senior/tenured COTC driver who had the honor of driving the W990 in the parade. While taking the special tree coast-to-coast has been a unique experience for COTC drivers, so has been getting to drive the Kenworth W990. Other than a few pre-production units, there aren’t any out on the highways (production begins the first quarter of 2019). 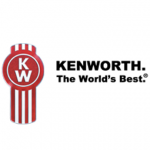 Featuring a 76-inch mid-roof sleeper, the Kenworth W990 is spec’d with the PACCAR Powertrain which incorporates a PACCAR MX-13 engine rated at 455-hp and 1,650 lb-ft of torque, 12-speed automated transmission, and 40K tandem rear axles. The truck was also specified with the W990 Limited Edition interior, premium GT703 seats and audio system, Kenworth Nav+HD, predictive cruise control, 1800W inverter, 180-degree swivel passenger seat, and Kenworth TruckTech+® Remote Diagnostics. The W990 is shown during an event in Soda Springs, Wyoming. According to Taylor, the Kenworth W990 has been a big draw – giving tours inside the truck, and opening the hood has been commonplace. Mission accomplished! The U.S. Capitol Christmas Tree is unloaded from the Kenworth W990 upon completing its journey from Oregon to Washington, D.C.